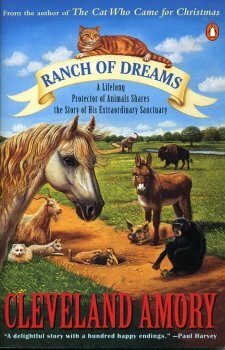 A lifelong protector of animals, Cleveland Amory, shares the story of his extraordinary sanctuary with heartwarming tales of animal rescue and care. Color photos. 288 pgs. by: Anderson, Allen & Anderson, Linda C.
The inspiration for Rescued was the tragic situation with pets during the Katrina disaster  thousands refusing to leave without their pets, and many animals dying due to official indifference to these "disposable" creatures. 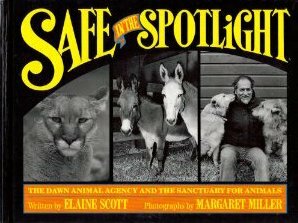 Extensively trained in animal rescues, Allen and Linda Anderson interviewed hundreds of volunteers, hurricane survivors, and government officials for this book. Rescued offers both hope and practical suggestions, as well as the latest information on official policy and how to help in future catastrophes. It goes beyond the recent tragedies to talk about the various rescue and sanctuary operations, what volunteers and staff do, and how to help. Using a dramatic structure and photos, the book presents the before, during, and after journeys of people separated from their animals. 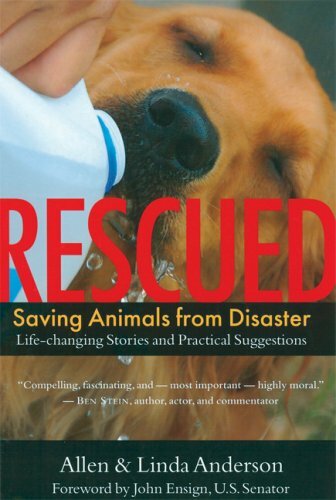 Rescued puts attention on an unheralded world of animal shelters, organizations, and brave individuals who made a difference during the largest animal disaster in American history. Color & B/W photos. 347 pgs. Rescuing injured wildlife requires careful preparation to ensure the safety of both the rescuer and the animal. This informative guide teaches would-be rescuers how to identify an animal in need, capture that animal, and safely transport it to a wildlife rehabilitator. Real-life animal rescue stories provide insight into the triumphs and risks of wildlife rehabilitation. Exactly what to do, and what not to do, when you find an animal in distress. How to determine the status of an injured creature using easy-to-follow flow charts. 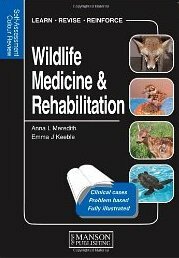 Instructions on safe-capture methods, emergency care, transportation, and finding a professional wildlife rehabilitator. B/W photos. 130 pgs. 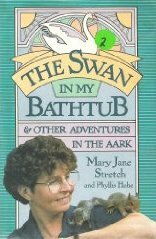 The heartwarming inspiring story of how Mary Jane Stretch turned her natural affinity for animals into a full time career as an animal rehabilitator. 214 pgs. Home & classroom care for small animals. Info on each species includes: acquisition & handling, cage & habitat materials, temperature & light, food & water, maintenance, release & disposal. Covers various kinds of frogs, salamanders, newts, spiders, millipedes, scorpions, ants, butterflies, crickets, caterpillars, ladybugs, chickens, doves, ducks, pigeons, crayfish, fish, lizards, chinchillas, gerbils, ferrets, guinea pigs, hamsters, hedgehogs, mice, rabbits, rats, sugar gliders, various kinds of snakes, turtles, worms, and many more. Well illustrated. 263 pgs. Taking in over 500 animals annually, Wildlife Rescue & Rehabilitation (WRR) provides care, rehabiliatation & release of orphaned & injured wildlife. They also provide permanent care to those which cannot be released back into the wild, or for those non-indigenous wild animals who have been rescued from roadside zoos or research facilities. Read the stories of some of the animals taken in. They range from hunorous to the tragic, from the surprising to the inevitable. B/W photos. 149 pgs. 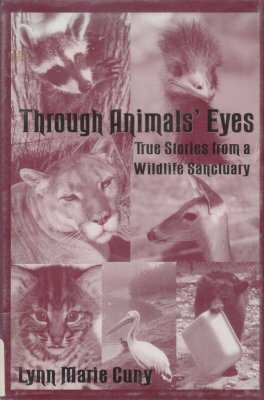 From the author of Through Animals' Eyes come more true stories from the rare perspective of someone who not only cares for the animals she treats, but also has never wanted nor tried to tame or change them. Lynn Cuny founded Wildlife Rescue and Rehabilitation (WRR) in 1977 in her backyard in San Antonio. It has since grown to 187 acres and now rescues more than 7,000 animals annually. 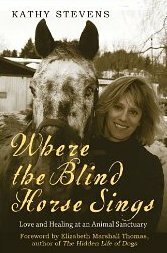 Through her stories, Lynn hopes to despel the belief that animals do not reason, have emotions or show compassion for each other. Covers domestic animals as well as wild ones. 123 pages, B/W photos. 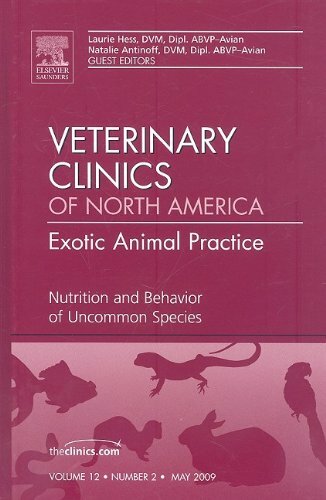 The busy exotic animal practitioner will find this unique issue packed with useful, practical information on uncommon species. Species covered include: kinkajou, macropods, ground and tree squirrels, servals and caracals, sugar gliders, prairie dogs, hedgehogs, fennec foxes, skunks, degus, opossums, Patagonian cavies, coatamundi and raccoons, lemurs, agoutis, invertebrates, and fish. Contents: Considerations for kinkajou captive diets; Nutrition & behavior of coatis & raccoons; Macropod nutrition; Feeding behavior & nutrition of the sugar glider; Behavioral & nutritional aspects of the Virginia opossum; Nutrition & behavior of degus; Nutrition care & behavior of captive prairie dogs; Behvahior nutrition & veterinary care of patagonian cavies; Determinants for the diet of captive agoutis; Nutrition of tree-dwelling squirrels; Nutrition & behavior of fennec foxes; Nutrition & behavior of striped skunks; Nutrition & natural history of the serval & caracal; Feeding behavior & nutrition of the African Pygmy hedgehog; Nutrition & behavior of lemurs; Captive invertebrate nutrition; Nutrition feeding & behavior of fish. B/W photos. 399 pgs. An authoritative guide to what you can do to help a suffering dog, cat, horse, fish, rodent, reptile, primate, and many other domestic and wild animals. 304 pgs. From dancing squirrels to bashful gorillas to spiteful killer whales, Masson and coauthor Susan McCarthy bring forth fascinating anecdotes and illuminating insights that offer powerful proof of the existence of animal emotion. Chapters on love, joy, anger, fear, shame, compassion, and loneliness are framed by a provocative re-evaluation of how we treat animals, from hunting and eating them to scientific experimentation. Forming a complete and compelling picture of the inner lives of animals. 291 pgs. From dancing squirrels to bashful gorillas to spiteful killer whales, Masson and coauthor Susan McCarthy bring forth fascinating anecdotes and illuminating insights that offer powerful proof of the existence of animal emotion. Chapters on love, joy, anger, fear, shame, compassion, and loneliness are framed by a provocative re-evaluation of how we treat animals, from hunting and eating them to scientific experimentation. Forming a complete and compelling picture of the inner lives of animals. Provides the would-be owner with a uinque guide to the charatcer, safety, food, and exercise requirements of more than 100 possible pets - common, unusual and exotic. It gives a general descritption of each species (dogs, cats, horses, ponies, donkeys, fish, reptiles, rodents, birds and many others) together with more detailed notes on indivual breeds and their needs. Line drawings, B/W photos, color photos. 143 pgs. Having lost 4 animal companions to cancer, Deborah Straw attempts to answer why. The reader will discover the many environmental, dietary and vaccine-related culprits that may cause cancer in pets, and learn preventative measures that can be taken to safeguard their pets' well-being. 244 pgs. Marsupials, insect-eaters, bats, meat-eaters, rodents and even armadillos! How do you capture them? Where do you buy them? How do you house them? How do you feed them? And why shouldn't you buy a big cat for a pet? All of these questions, and many more, are answered by Paul Villiard in the readable, scientifically factual book. Along the way, we learn that many of the commonly held superstitions about mammals have no basis in fact, how to tell healthy animals from unhealthy ones, what common fallacies of pet raising to avoid, and how to tame each wild pet. Lavishly illustrated with photographs. B/W photos. 159 pages. 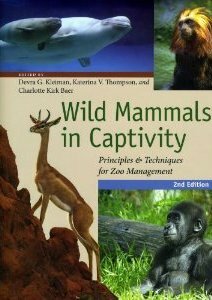 Focuses on new approaches to the management of wild animals in captivity. It covers the basics of husbandry and nutrition; the design, planning and management of exhibits in zoos & wildlife parks; behavior, reproduction, and breeding; genetics and popluation management; and research with captive animals. Features contributions from dozens of internationally renowned experts. B/W photos, charts, graphs. 639 pgs. Mammals: basic care of orphan mammals, formulas, ways to feed formula, how much to feed, weaning, stomach-tubing, foods for older babies, canned dog food, dry food, petting & handling, releasing back into the wild, ailing or injured mammals. Mamals covered include flying squirrels, squirrels, mice, rabbits, fox, skunks, oppossums, paccoons, bobcats. Birds: feeding baby hawks, owls, doves, other birds, setting free, feeding injured or weak birds, and first aid for all birds. Includes an animal milk composition table. 159 pgs. Field guide to the behavior of Southern African mammals. 198 pgs. This perspective on the South African wild animal rehabilitation centre. Wildcare explains how wild animal rehabilitation has moved from a backyard pastime to a highly complex operation. Color photos. 120 pgs. Stories from the Northwoods Wildlife Center in Minocqua Wisconsin. You will get to know cranberry eagle, the skunked owl, and a wide range of wildlife -loons, bibcats, deer, raccoons, even bats. The stories are filled with insight and sensitivity, along with humor and sadness. All the characters - humans and animals - are real. The stories actually happened. B/W photos. 228 pgs. Veterinarians increasingly encounter wildlife casualties in practice and have a duty of care for the welfare of the animals. This comprehensive and easy-to-use self-assessment book contains some 208 clinical cases with 325 illustrations in a question/answer format. It has been compiled by authors with a wide range of experience and expertise in this area. Common conditions seen in wildlife species are covered with cases from Europe, North America, the Middle East and Australia. The selection of cases is presented randomly and covers scenarios relevant to most readers. 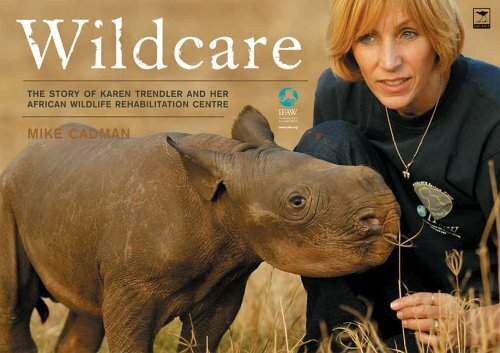 The book will appeal to veterinarians in practice and training and to those working directly with wildlife who wish to expand their knowledge in this field. Color Photos. 208 pgs. Rescuing wild animals in distress requires a unique set of skills, very different from those used in handling domestic animals. The equipment, degree of handling, the type of caging and level of care a wild animal receives can mean the difference between life and death. 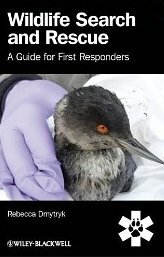 "Wildlife Search and Rescue" is a comprehensive guide on 'best practices' and suggested standards for response to sick, injured and orphaned wildlife. 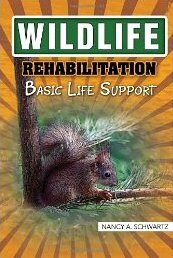 This valuable resource covers the fundamentals of wildlife rescue, from 'phone to field', including safe and successful capture strategies, handling and restraint techniques and initial aid. 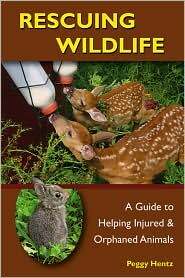 "Wildlife Search and Rescue" is a must have for anyone interested in knowing what to do when they are face to face with a wild animal in need, or for anyone involved in animal rescue. 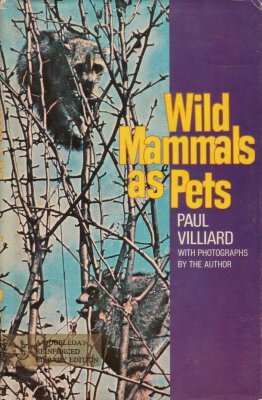 While the book focuses on wildlife native to North America, much of the information and many of the techniques are applicable to other species, including domestic dogs and cats. B/W photos. 228 pgs. 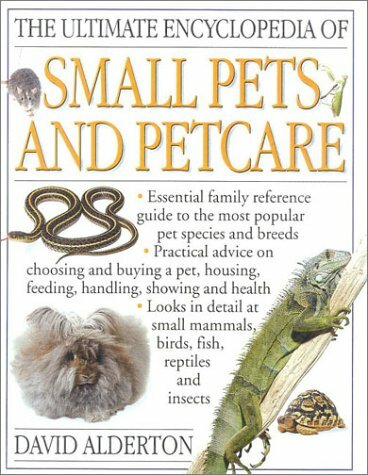 This one-stop reference for owners or would-be owners of some unsusal animals includes common-sense information on selecting, housing, feeding, and keeping healthy such 'alternative' pets as ball pythons, chinchillas, hedgehogs, frogs and toads, hermit crabs, miniature pot-bellied pigs, green iguanas, salamanders, tarantulas, and more.A guide to choosing and caring for an alternative pet offers information on pythons, chinchillas, ferrets, frogs, iguanas, hedgehogs, tarantulas, and other unusual pets. 224 pgs.